Welcome to my site. I am a professional musician playing various styles of music on bass and tuba. I hope you will scroll down and check out my upcoming events. Steve Bulmer is a multi-dimensional musician actively performing and recording on upright bass, electric bass and tuba. A native New Englander from Connecticut, Steve enjoys a very active career that spans many musical idioms including jazz, classical, musical theater and pop/rock. Initiated on piano at age 6, his music journey sent him acoustically lower and lower as he was drawn to the inspirational role the bass plays both rhythmically and harmonically in all type of musical idioms. Steve was formally trained at the Eastman School of Music where he received a bachelor’s degree in both Music Education and Music Performance. He subsequently headed west and he received a Master of Music degree from Northwestern University studying with the famous pedagogue and Chicago Symphony Orchestra tubist Arnold Jacobs. Steve was instructor of low brass at University of CT and also pursued studying and playing the upright and electric basses do diversify his musical persona. Steve performs extensively with regional and national musicians in many settings. He has performed on Broadway in productions of Chicago (the Musical) and Parade! at Lincoln Center doubling on upright bass and tuba. He is first call in the region when national touring shows hire area musicians, and has played in such productions as If/Then, Beautiful – The Carol King Story, Spamalot, Pippin, Mary Poppins, Evita!, The Addams Family, Billy Eliot, Victor/Victoria, and Young Frankenstein and has backed such talents as Mel Tormé, Ray Charles, The Three Irish Tenors, and Josh Groban. Steve performs with Connecticut-based symphony orchestras including those in Wallingford, Ridgefield, Waterbury and also the Greater Bridgeport Symphony Orchestra. He also plays tuba and arranges for the Constitution Brass Quintet and has enjoyed re-arranging Widor and Vierne symphonic organ classics for brass quintet. Steve is active as a jazz bassist performing throughout New England with many regional artists and ensembles including performances with Phil Woods, John Abercrombie, Ali Ryerson, Nick Brignola, Tom Malone, Lou Marini, and vocalese artist Giacomo Gates. 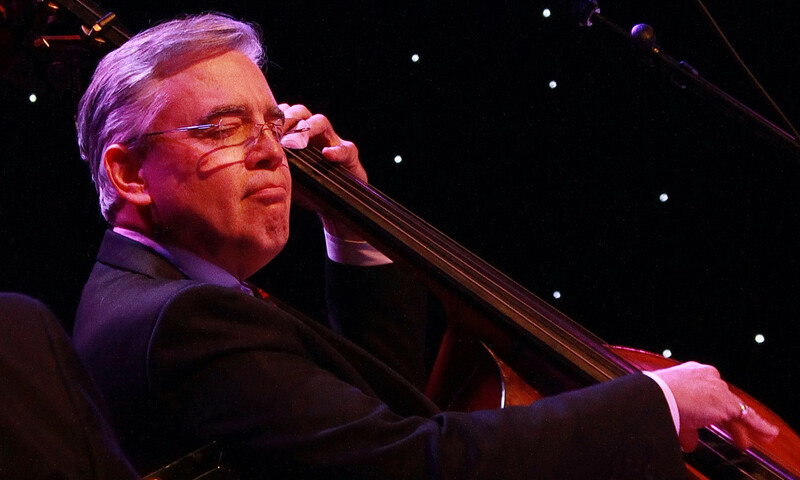 He is bassist and president of the New England Jazz Ensemble, a non-profit 16-piece jazz orchestra that commissions and performs new works with an educational mission. 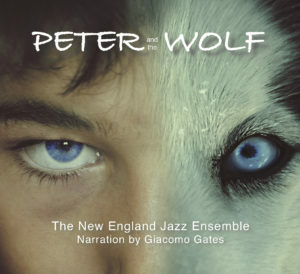 Steve produced the NEJE’s Peter and the Wolf project, a recording including a Jazz Ensemble version of Prokofiev’s classic tale augmented with four original works inspired by the classical themes. The album was released in April 2018 and has garnered considerable critical acclaim. 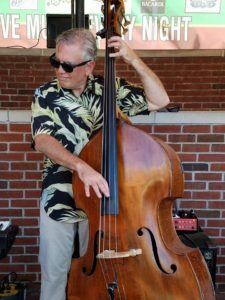 In Spring 2019, Steve joined the faculty of the Hartt School Community Division’s Jazz and Popular Music Institute specializing in the instruction of upright bass and electric bass. Here’s a set from my gig with Ricky Alphonso’s Blue Soul Unit at The Lounge in Brattleboro, VT from May 2018. Features Rick on Trumpet and Vocals, Eugene Uman on piano, yours truly on bass and Tido Holtkamp on drums. Such a pleasure to make music with people like this! I had the pleasure of sitting in with the Hartford Jazz Orchestra which features the music of the very talented Chic Cicchetti. It is now led by the exceptionally talented Donn Trenner. Check out “Freckle Face” featuring a flugelhorn solo by Pat Lennon, who just kills it! Here’s some YouTube live of Alone Together with Draa Hobbs and Claire Arenius. Sorry for the background chatter but it doesn’t get much more fun than playing with these guys! I am president and bassist with the New England Jazz Ensemble. We are a not-for-profit organization promoting the music of the modern big band/jazz ensemble. Our latest project is a jazz ensemble version of the iconic “Peter and the Wolf” by Sergei Prokofiev. The CD hit the streets April 22, 2018. Please read the story in DOWNBEAT Magazine. Check out some cuts from our arrangement written by Walter Gwardyak with “jazzbretto” written and read by Giacomo Gates. Going back to our previous CD, here’s a little sample audio/video from our live CD Release Party performance of Billy Taylor’s “It’s A Grand Night for Swinging” arranged by Jeff Holmes. It features solos by our guest artists: vocalist Giacomo Gates, flutist Ali Ryerson and guitarist Jon Abercrombie. There are even a couple of audio cameos by drummer Jon Mele and yours truly on bass.